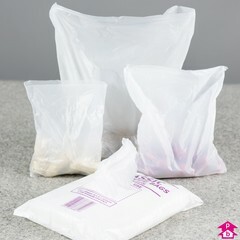 Manufactured from food approved white high-density polythene, we stock a number of ranges of Counter Bags in dispenser packs and on the roll. 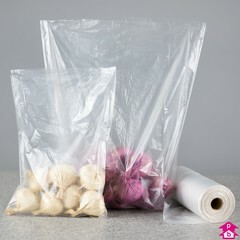 Many of our standard packing bags are also suitable for use with food (look out for our food safe icon) as well as many products in our Eco-friendly packaging range. 4 Products. 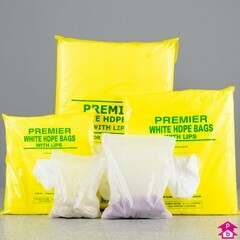 Our premier range are a thicker 11mu material and supplied in a yellow outer dispenser pack. 2 Products. 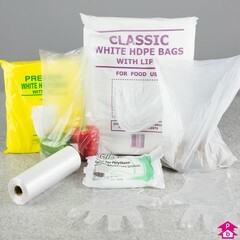 The traditional counter bag for wrapping and packing produce and groceries. We call them Granny bags but we're not quite sure why. 1 Product. 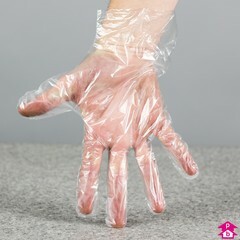 For food preparation and hygiene requirements, we stock a Polyglove which is supplied in handy dispenser packs.